What would te give Ryuga on his birthday? Who do te think would win in a beybattle; Hikaru o Sophie? la scelta dei fan: Sophie would win. Which Beyblade couple is best? la scelta dei fan: HECK YEAH!!! (boys)who do te have a crush on? when does Ryuga appear in the zero g series? Is this site really for chatting o for asking o answering question? It was a beautiful morning on the Truth o Dare show..Everybody was sleeping like there wasn't tomorrow. Me:*on the speaker*GET YOUR ASSES MOVING SLEEPING HEADS!! IF ANY OF U WON'T mostra UP..U KNOW THE PRIZE FOR YOUR BEAUTIFUL BEYS!MUAHAH! Hikaru:We're here now what do we do? ''Don't look at me lion-boy!It was your idea to open this damn door in the first place! ''Ryuga was about curse più until. Ryuga:Who the hell are u? Gingka:I knew it!That's why our names were written on it..Kyoya this all ur fault! Me:Are u done with the cursing? I DO NOT OWN METAL FIGHT Beyblade o ANY OF ITS CHARACTERS. 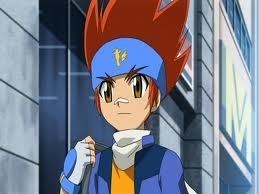 "I thought te are a Legend Blader." Ryuga's eyes darted up, a glimmer of fury in the dark amber depths as he stared at the man in front of him with a mixture of pain and annoyance. "And to qualify as a Legend Blader, I would have to actually be a blader." The sarcasm in his quiet, husky voice was hardly noticeable. The sharp features drew together a bit to form a faint scowl. Madoka:You guys...we need to get ready for the school musical! Kyoya:Yeah....its in a few weeks. Madoka:Nazumi,Kyoya,Hikaru,Me,Gingka,and the others are gonna sing. Nazumi ur the lead singer! Nazumi:Hand me the mic! Everyone were practincing! Madoka:I hope the "date" will be fun! Nazumi:stop it guys! Its just a friendly dinner! Mei Mei:Oh really?Is it that te have a crush on him! Nazumi:Stop it! Kyoya is the one i love..no one else! Celia:Zeo is Hawt! Kyoya is Hotter..but Tsubasa is the hottest! Mareia:Ryuga is hotter than them,but i agree with Nazumi and Hikaru! Nazumi:Kyoya! Are te okay? I was worried about you! Nazumi:You need to be careful successivo time.You could get expelled! Kyoya:Now lets go o well be late! Ok..So here are the lyrics of Metal Fight Bybelade ending 1,Hikari Kagaya kuwase.Also known as Ok.Alright.The Future. an answer was added to this question: when does Ryuga appear in the zero g series? a question è stato aggiunto: is ryuga alive?